Children love to read and learn. The world beckons and they are full of questions. They want to know about living. Me Too! Books invite your child to share with you the delight of Bible stories told with flair and illustrated with sparkle. 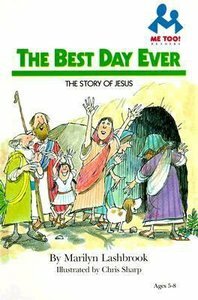 These are special Bible stories, often little known, that teach and challenge parent and child alike. Me Too! Books make it fun to read and learn about God's Word. About "The Best Day Ever (Me Too! Series)"